Research has revealed that the volcanic activity that formed the current shape of Mt. Hallasan occurred between and 20,000 and 37,000 years ago. 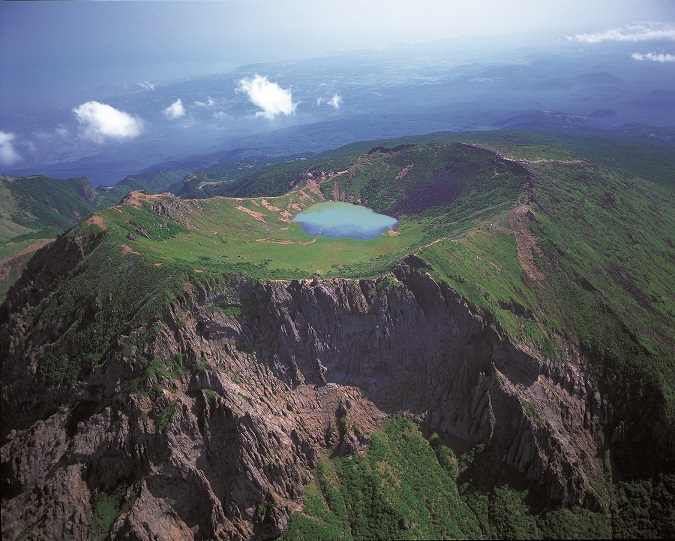 The research specifically relates to the age of the Baekrokdam crater at the summit of the mountain and the surrounding oreum. The World Heritage headquarters of Jeju Island announced the results on the 27th and these results were published in the September issue of the Journal of Petrology. Dr. Lim Jae-soo from The Hallasan Research Institute and the Korean Geological Survey Institute, who undertook the process of identifying Baekrokdam geological formation period, measured the age of the formation of Mt. Hallasan by measuring the rocks in different layers of the mountain using a technique called optically stimulated luminescence. This is a technique that can measure the age of rocks to around a 5-10% accuracy. The research team found that the western part of Baekrokdam was a steep lava dome formed by a relatively large lava eruption 37,000 years ago. After that, basaltic magma erupted about 20,000 years ago and the eastern part of Baekrokdam was formed and the present crater was created. Also, the rocks in the topsoil layer were estimated to have come from an eruption around 37,000 years ago. This study has revealed the relationship between Baekkoldam and surrounding oreum (Witse and Bangae) and the order of their formation. Kim Chang-ok, director of the World Heritage site in Jeju Island, explained, "The time and process of the formation of Mt. Hallasan, which symbolizes Jeju Island, has not been clarified until now." For this study, the research team wrote a new geological map of Mt. Hallasan.